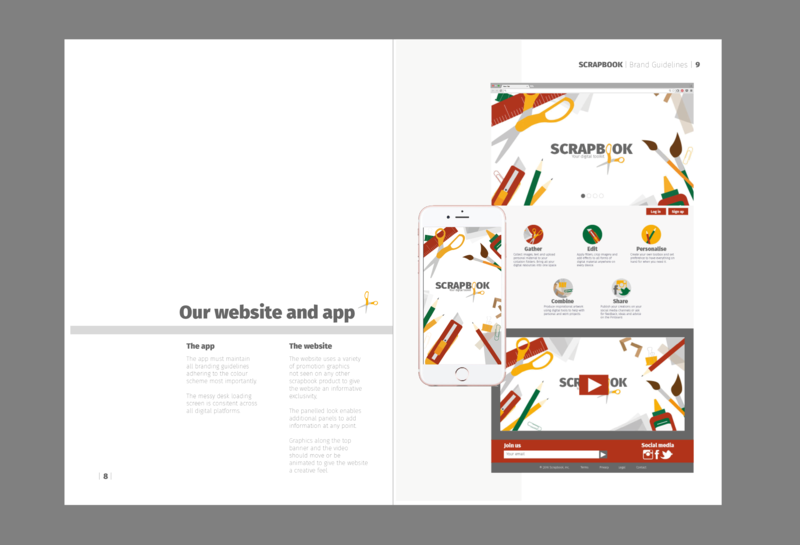 Rebecca completed this project whilst in her third year at university and created an app, website, brand guidelines booklet and full branding of the new Scrapbook company. 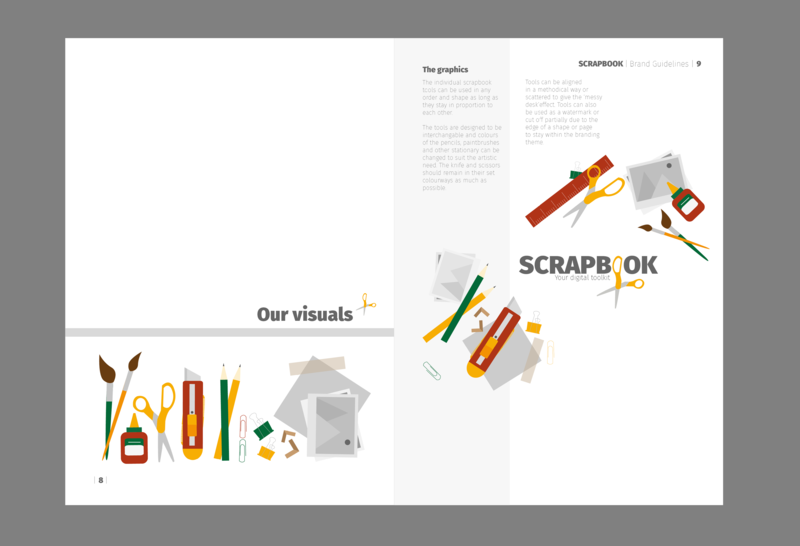 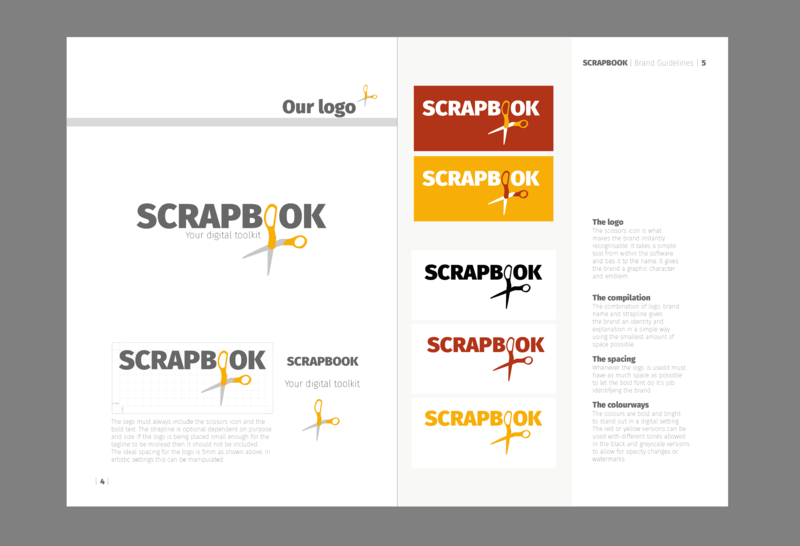 Scrapbook is a digital app for mobile, tablet and desktop that enables you to save images and clippings from webpages, online magazines or screenshots to then compile into inspirational mood boards. 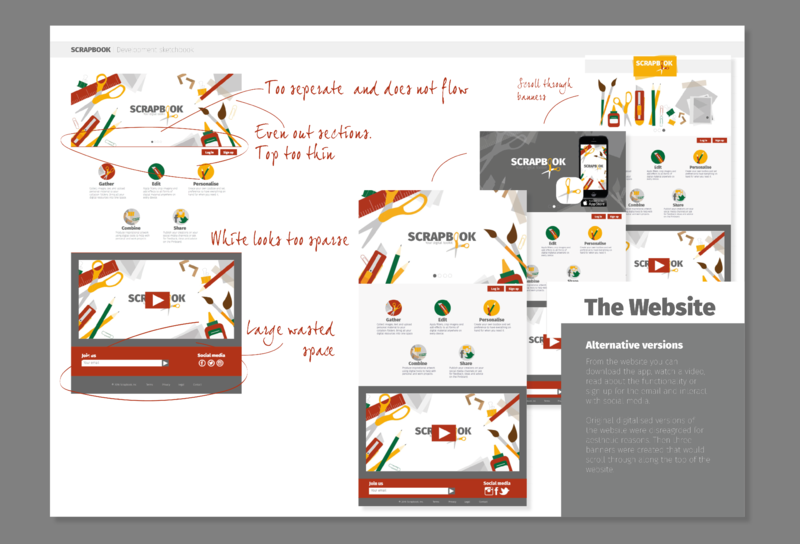 The simple workspace area mimics tools from complex Adobe software but in a more simplistic way so that it is accessible to amateurs and hobbyists as well as industry professionals. 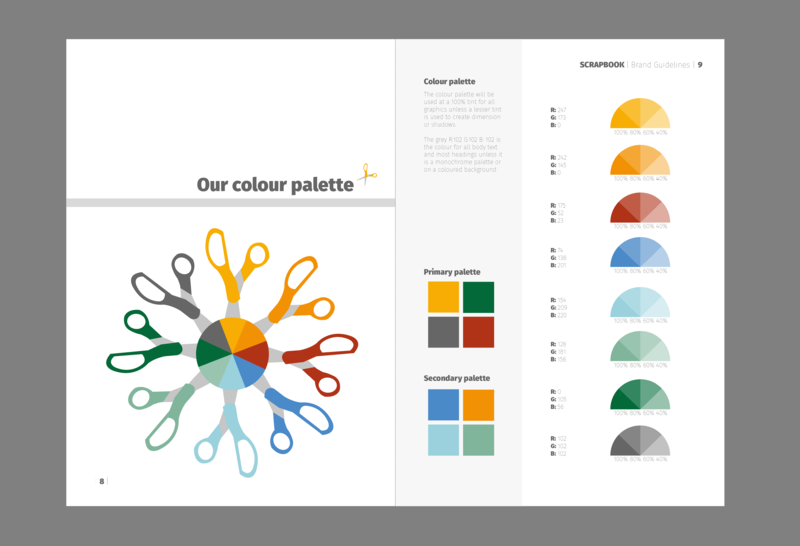 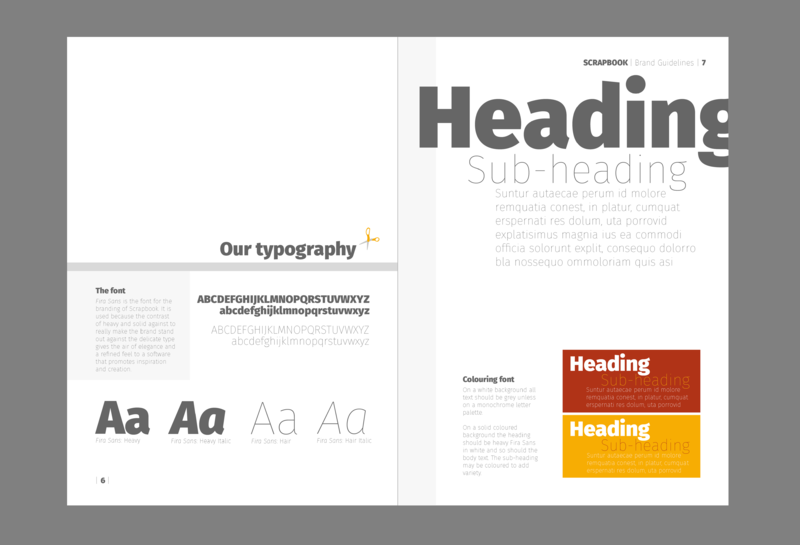 See below for the full brand guidelines booklet. 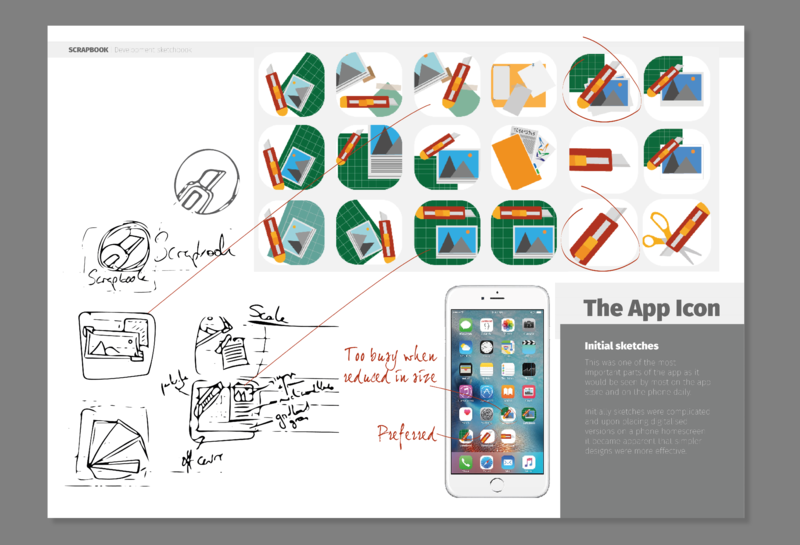 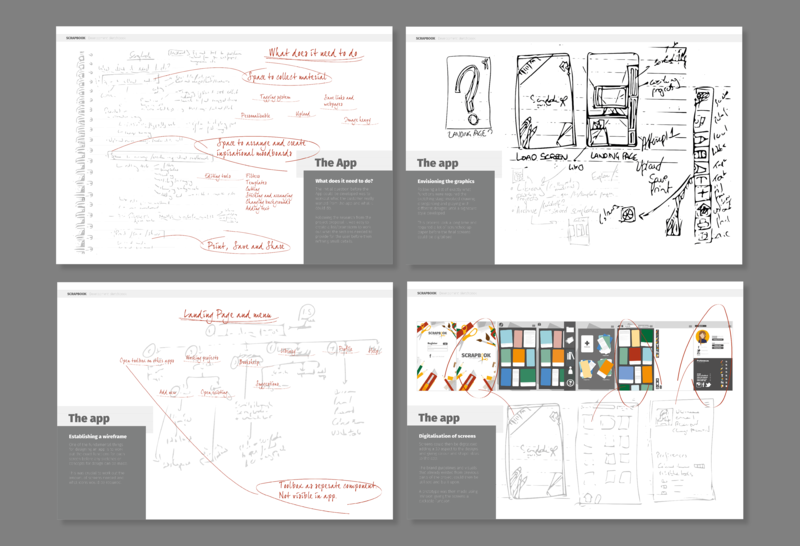 See below for extracts of the development sketchbook that explored ideas and planned imagery throughout the project.